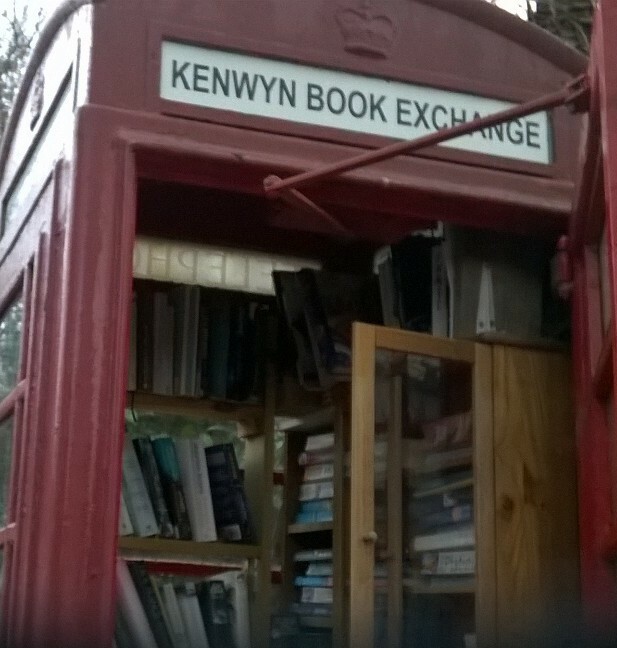 You may have read one of my very first blog posts about a surprising find of mine while out on a walk with my BF: a book exchange in a disused phone box. Since discovering that, I have been attuned to this idea of books being shared in interesting places. 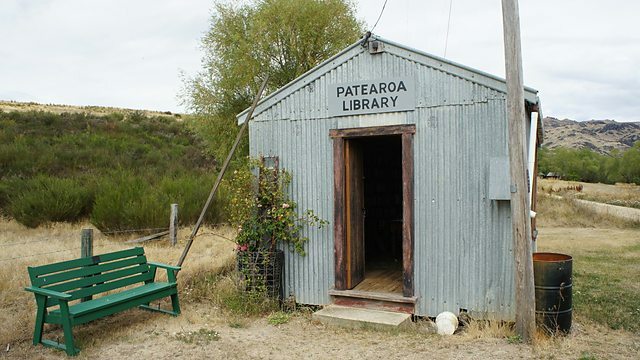 A couple of months ago I heard a lovely documentary radio programme in the middle of the night, on the BBC World Service, about Tiny Libraries of New Zealand (listen again: The Search For Tiny Libraries). More often than not, they are run by women volunteers; they are found the length and breadth of the country, but away from larger conurbations where ‘proper’ libraries are funded by local councils. The one thing they all have in common is they are small ~ sometimes open for just for an hour a week, or one afternoon, many have existed for decades. It is a charming and fascinating insight into the importance of books to people in communities. 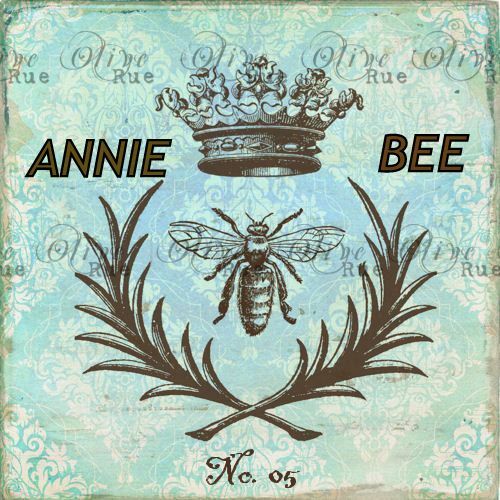 Have a listen. That link (above) definitely works at the moment (Sept 2015) if you are in the UK, and hopefully beyond too. In the UK, volunteers manning Council-run libraries is becoming an increasingly familiar occurrence. It is thought there are about 350 libraries being run like this currently ~ the so-called Big Society at work. In many cases it is only this approach that is keeping the libraries open at all, with such deep cuts to our local council finances. 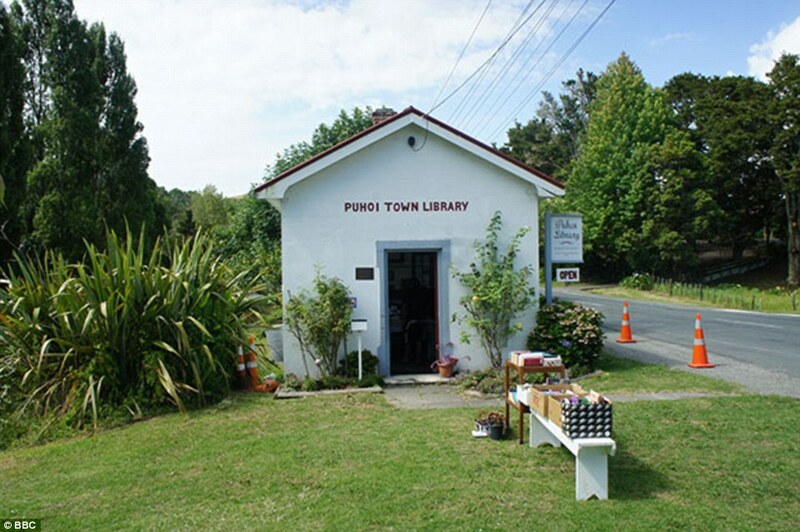 Perhaps one of the benefits is that the library is taken firmly into the hands of the community, and locals have more of a say about how it can best serve the neighbourhood. The Community Knowledge Hub website is a useful tool for anyone interested in exploring this further. Many of these libraries are now multi-purpose spaces, with art classes, workshops, a cafe, or even a cinema, thus increasing usage and income. Innovation and collaboration are the name of the game. But back to the Tiny Libraries. I do so love the idea of a few books being available in rural areas, whether as a book exchange scheme in a phone box, or with a proper library card and lending system, run from someone’s shed or garage or the village hall. 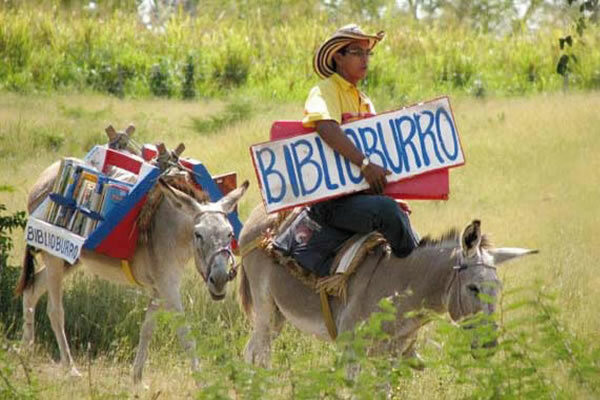 And for those of us who rather take accessing books for granted, how about this: For the past fifteen or so years, Luis Soriano, a teacher from La Gloria, in the state of Magdalena in Colombia has been loading up his donkeys, Alfa and Beto, with piles of books and heading off into the hills to spread the joy of reading to children who have never had access to them before. A tiny library on hooves. Love it. Long live the library! Let me know if you have a book exchange scheme or tiny library near you.